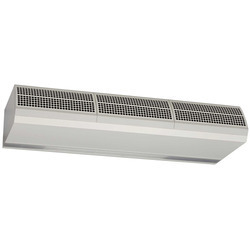 Our range of Air Curtain fitted unobtrusively over a window or doorway generates steady stream of high velocity air to form a powerful barrier blocking out hot air, dust, insect and pollutants. They are capable of maintaining the temperature of climate controlled rooms and in addition to this, they assist in cutting back on energy costs throughout the years. It has found applications in various commercial areas such as textile showrooms, super markets, sweetmeat shops, bakeries, hotels, restaurants, computer rooms and hospitals. 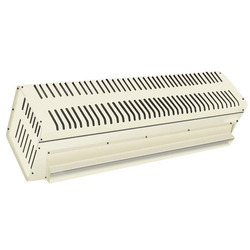 Our range of Industrial Air Curtain fitted unobtrusively over a window or doorway generates steady stream of high velocity air to form a powerful barrier blocking out hot air, dust, insect and pollutants. They are capable of maintaining the temperature of climate controlled rooms and in addition to this, they assist in cutting back on energy costs throughout the years. It has found applications in various commercial areas such as textile showrooms, super markets, sweetmeat shops, bakeries, hotels, restaurants, computer rooms and hospitals.